As I've mentioned before, I generally don't use concealer on breakouts. It always seems to accentuate spots instead of camouflaging them, so I just apply my foundation and let it cover what it will. Last month, though, I had a small breakout on my cheek and since I'd just gotten the Liquid Time Balm Spot Concealer, I decided to try concealing it. And I was kind of stunned at what a good job the Spot Concealer did. Typically, I think of liquid concealers with a doe foot applicator as being better suited for under the eyes since the formula is usually thinner and doesn't cake up. I just didn't expect the Spot Concealer to be thick enough to provide any real coverage. But it can cover a hole heck of a lot. My breakout wasn't particularly bad, just two small spots but they were pretty red. Over my foundation (and I used it with several different foundations that ranged from light to medium coverage), the Spot Concealer made them all but disappear. And without looking cakey or too obvious. It should be noted that the Spot Concealer contains tea tree oil, a natural antibacterial agent so it's meant to be an acne treatment in addition to a concealer. But that means you can't use it under your eyes so it may not be as useful as other concealers if you only get the occasional breakout. It also has the strong scent of tea tree oil, which I know not everyone likes. I personally like it (I used the Body Shop's tea tree oil line all through high school so I think it has a nostalgia factor for me) so it doesn't bother me and the smell disappears once you blend it into your skin. I wouldn't say the tea tree oil in the concealer is a miracle worker, but my spots did disappear in a couple of days, which seemed pretty quick to me. 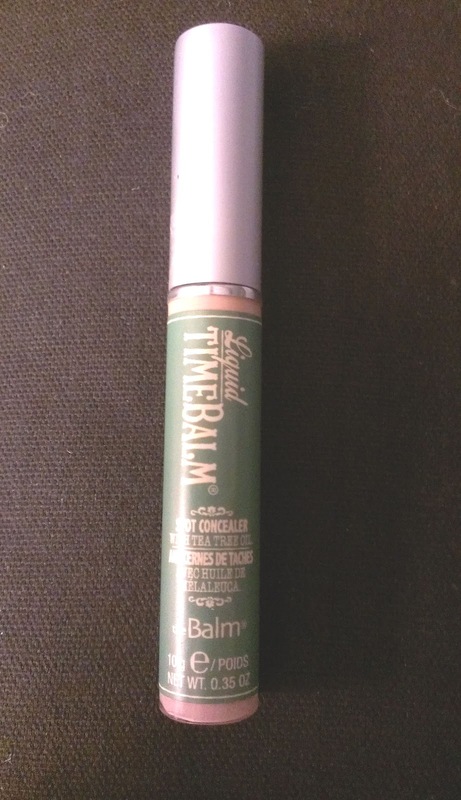 Of course, I chose the Liquid Time Balm Spot Concealer in the lightest shade available, Fair. It's a pretty good match for my skin tone - it may be slightly darker but it blends in very easily. I use the doe foot applicator to dot the concealer on whatever spots I'm trying to hide and then use a fluffy style concealer brush to stipple it in until it's blended. I've also used my fingers to blend the concealer in and that works well too. 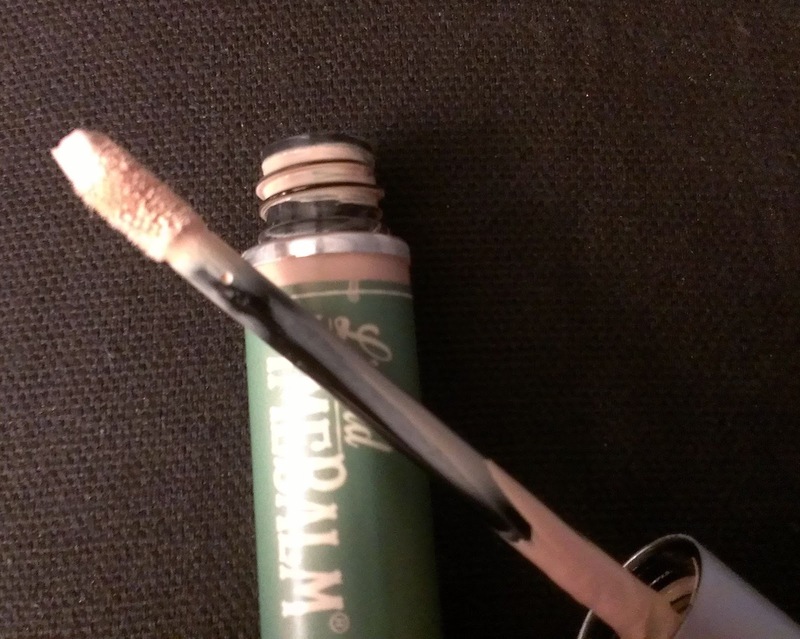 All in all, I was really pleasantly surprised by the Liquid Time Balm Spot Concealer. If you have acne prone skin, it's definitely worth trying. Even if you only get those once a month breakouts, it's a pretty great product to have on hand. What's your favorite concealer for breakouts? What's your favorite way to apply it? 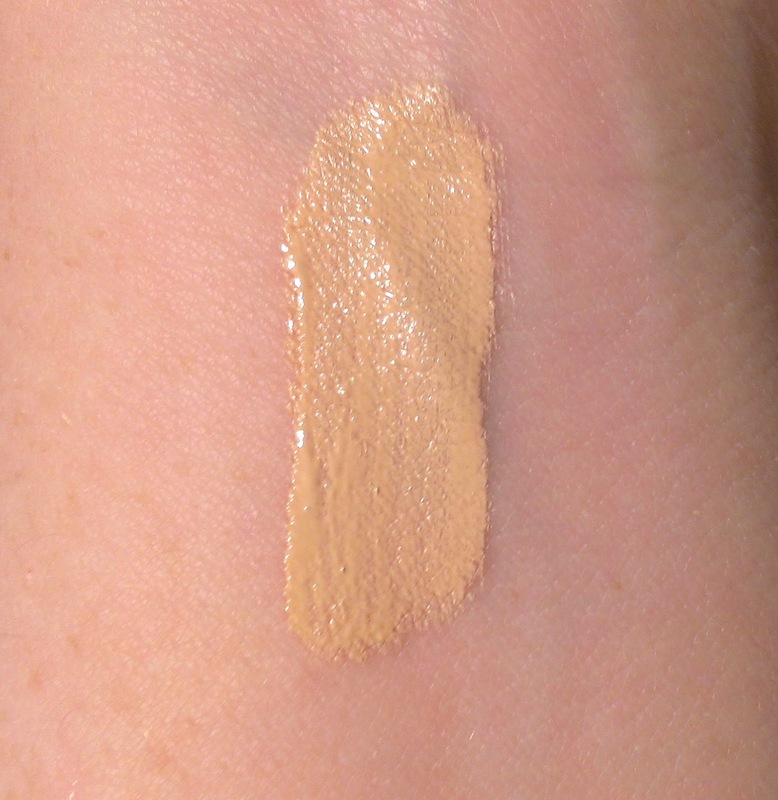 I like Laura Mercier's concealer "secret camouflage", and I usually just dab it on with my ring finger. I was wondering, what kind of brush would you recommend for that? I also just purchased Smashbox Halo bronzer. Is a standard blush brush okay for that? Personally, I much prefer a fluffy style brush for applying concealer. I find that if I use a traditional flat synthetic concealer brush, particularly under the eyes, the concealer winds up looking cakey and I have to go in and blend with my finger anyway. A fluffier brush like the Real Techniques Deluxe Crease Brush or Sigma P82 does a much better job applying and blending in the concealer. They're both synthetic too, so they work really well with cream products like the Secret Camouflage Concealer. When it comes to bronzer, a standard blush brush might be too small and apply the product in too concentrated an area. If you're using the bronzer for contouring, that might be okay. If you want an overall sunkissed glow, though, you're better off with a fluffy powder brush that provides a sheerer application for a more natural look. The Real Techniques Powder Brush is a good option.